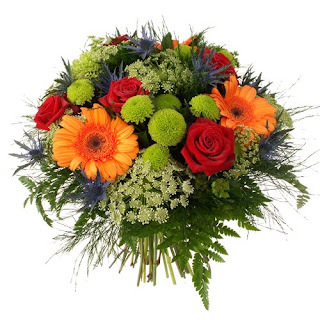 A valued partner sent a large bouquet of flowers to a company that relocated their offices. Unfortunately, due to an error, the card on the flowers said "R.I.P." The man phoned the florist, furious at the mistake, and berated them for a good few minutes before the florist replied: "Look, Sir, I understand your anger, but please consider this. At some funeral today a bouquet is being received with a card that reads: 'Congrats on your new location! "